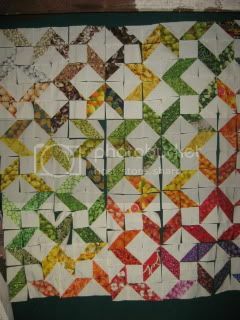 The Community Quilt Project had its origin in friendship quilts -- quilts bearing messages or signatures of people. 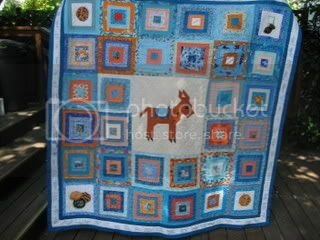 And since the very first Yearly Kos, signature quilts have been a feature of our blogging conferences. 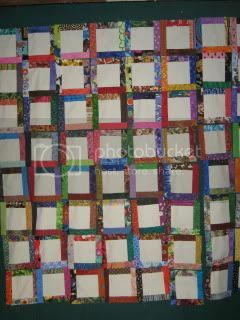 This year's signature quilt, sign it at NN11! They are an analog way of bringing people together in a digital age -- and they also have the benefit of raising money for good causes. 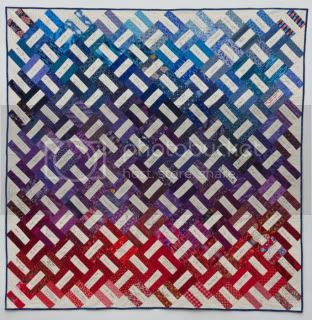 This is an old, old American tradition -- signature quilts have been used for good works since the 19th century. People will forget to mail patches -- or lose them. They will use the wrong pen. They will sign in the wrong place. 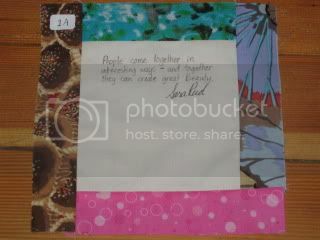 So if you plan on doing a quilt by mail, expect to be patient -- and have a backup plan for patches that go AWOL. It is much easier to get a quilt signed at a large conference. You can make sure the proper pen is used, so that your signatures can be heat set for permanence and won't have faded by the time your quilt is hanging in the Smithsonian! You can also make sure the signatures are in the right place. It's not as easy as it looks to organize one of these signings! Also, we will need folks to go out and get celebrity signatures. 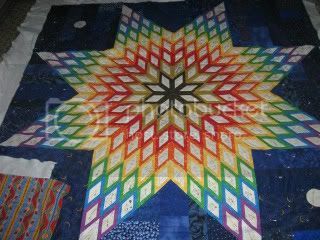 This quilt will be benefiting the Community Quilt Project itself and I would really like to see the quilt have some real star power. If you are willing to be an autograph hound for our cause, raise your hand! Just make sure that the blocks are signed right side up with the proper pen. I am sorry to say that an enthusiastic autograph hound got Alan Grayson's signature upside down last year! Not that we mind, really...but rightside up is better. I've started by signing the first block. There are sixty-four altogether and up to four people may sign each one. Originally posted to Sara R on Sun Jun 12, 2011 at 05:20 PM PDT.